Beta Host Review 2019: Is Beta Host a Good Hosting? Beta Host is a Nigerian provider that has only been in business since 2014. The plans are solid with SSD and a 99.9% uptime guarantee, but the live chat operators may not be technically trained. Beta Host has been providing hosting since 2014, albeit with a name change along the way. A Nigerian company, it currently has customers in more than 85 countries around the world and servers co-located in worldwide data centers. The website is available in English, as is it’s support. Beta Host uses Intel Xeon processors with fast SSD storage, in RAID configuration to mitigate against data loss, and a reliable cPanel control panel. The plans advertise a 100% uptime guarantee, but after digging into the terms, you can see that the SLA is for an industry standard 99.9%. The plans come backed with features for experts or beginners. First, there’s a free installation of RVsitebuilder and also a fairly basic offering of Softaculous one-click installer, with support for 150 programs (many companies offer 300 or 400). For experts, there are all of the standard features e.g., PHP versions 5.6 to 7, phpMyAdmin, and MySQL databases, as well as less common support for Perl, cURL, and Ruby on Rails. Also included are “Free SEO and Marketing Tools”, which after checking with support, I was advised that the tools allow you to “submit your site to different search engines at once and also ways to improve your site ranking and score”. When asked how the tool would improve my site ranking, the answers got quite vague, so I can’t comment on how useful this is, unfortunately. The plans are well priced, and in line with, if not a bit lower than other companies, especially given the high resource quotas. Most everyday website owners will have more than enough disk space (15GB) in even the base package, which is cheap. What’s more, all plans come with a free SSL certificate and domain name, so overall, it’s a good deal. Plans can be purchased in one, two, or three year terms with no discount for purchasing longer lengths upfront. Don’t let the annual terms put you off as there’s a 30-day money-back guarantee to help you get started with minimal risk. Customer service is comprehensive with 24/7 support by live chat and email, with a phone number on the website as well. There’s even a knowledge base on the website, which includes tutorials. I contacted the team on live chat at around 7:00 a.m. on a Wednesday morning. The operator picked up straight away and answered my questions politely. Unfortunately, he was not highly informed about the SEO tools included in the packages. 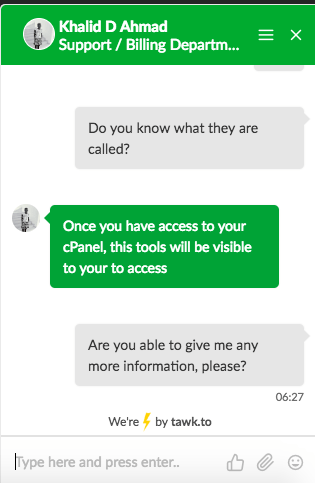 In fact, I was advised I would be able to find out the answer once I’d purchased a plan and accessed the cPanel, which is clearly not ideal! As well as having customer from all around the world, Beta Host has an active Facebook page with several positive reviews. The plans are feature packed, well priced, and come with quick support. My only real issue is that the operator could not answer my fairly basic question about the free SEO tools. Wondering how Beta Host stacks up against other Web Hosting companies? Enter any other Web Hosting company and we will give you a side-by-side comparison.